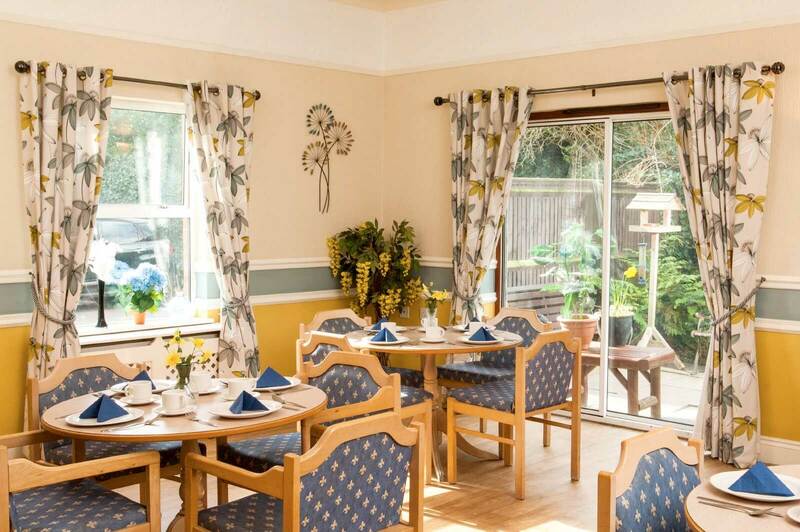 Offering you both residential and nursing care The Grange is often described as a ‘happy home’ and is well known for its friendly and homely atmosphere. We believe this is one of the most important things for you to feel when you come to the home. 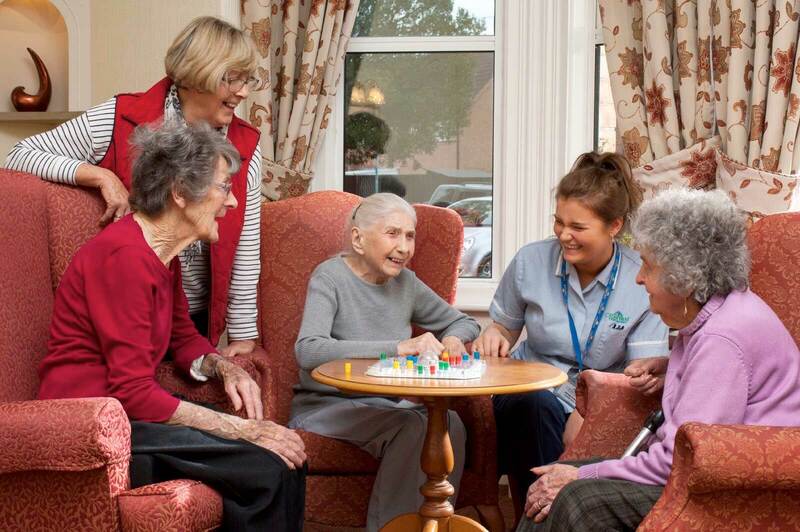 All of our staff are dedicated to making sure that your wellbeing and happiness is looked after at all times. The Grange offers you excellent facilities to enjoy. There are a number of different communal dining and lounge areas for you to relax in, catch up with friends or perhaps just enjoy a quiet cup of tea. You can also enjoy the conservatory, which overlooks our attractive courtyard garden. The summer months and warmer weather gives you the opportunity to take part in BBQs and other outdoor occasions, often with family and friends there to join you. 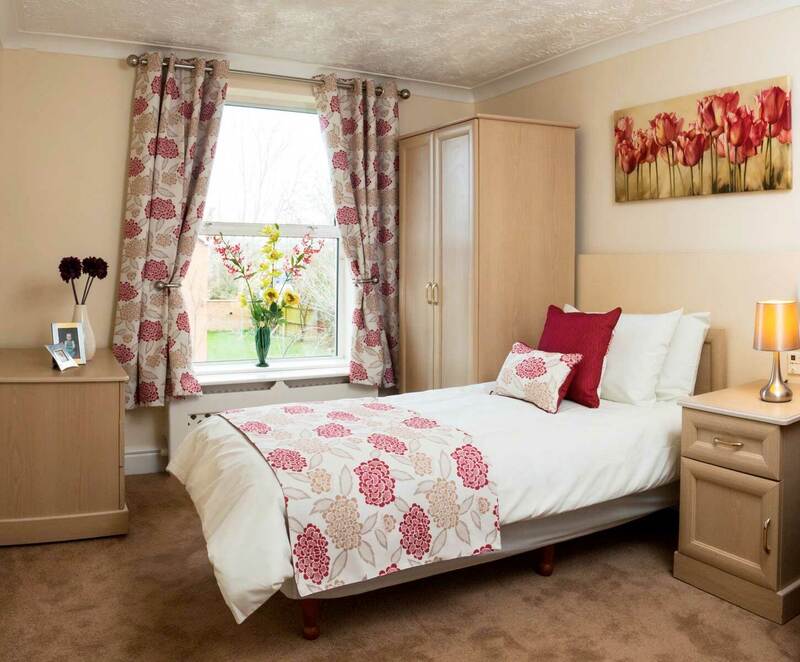 You have a wide choice of tastefully decorated bedrooms, which you can make your own. We encourage you to bring those special personal items of furniture, momentos, photos and pictures to personalize your room with familiar and treasured things so that you feel totally at home. If you enjoy having your hair done we have a salon where you can see a hairdresser each week. So that you can keep in regular touch with family and friends we have computers for you to use with access to the internet at any time. We want you to have all the comforts you have been used to and to feel The Grange is a truly your home from home. To be able to have fun in your new home and live a life that is fulfilling is very important. Together with you we plan lots of different activities and pastimes. No two days are the same and there will always be plenty of variety for you to enjoy. You might like to watch movies, listen to music, play puzzles or perhaps have a game of cards with friends. As we have so many lovely places on our doorstep in the Cotswolds, we organise plenty of trips out for you. You might like to visit a beautiful garden, take afternoon tea somewhere, or go on a canal trip. Whatever you like doing best all our activities and events will help you enjoy the happy community that we have at The Grange. We are passionate about making your mealtimes something to look forward to every day. Keeping you healthy is important and we have a wide range of nutritious menu choices for you to enjoy. 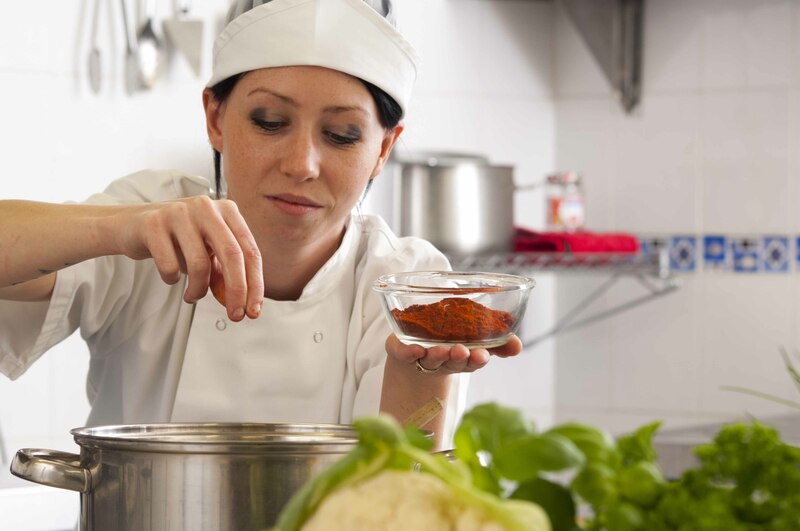 We also cater for special dietary needs – so whether you are diabetic or suffer from food allergies or intolerances, you will find there is something just made for you. Our chefs also know that everyone loves regular treats. You might fancy an old favourite or trying something new – just ask them and they will see what they can do. If you would like to, why not invite family or friends to join you. You can take lunch together, have afternoon tea, or throw a special birthday celebration – everyone is welcome! 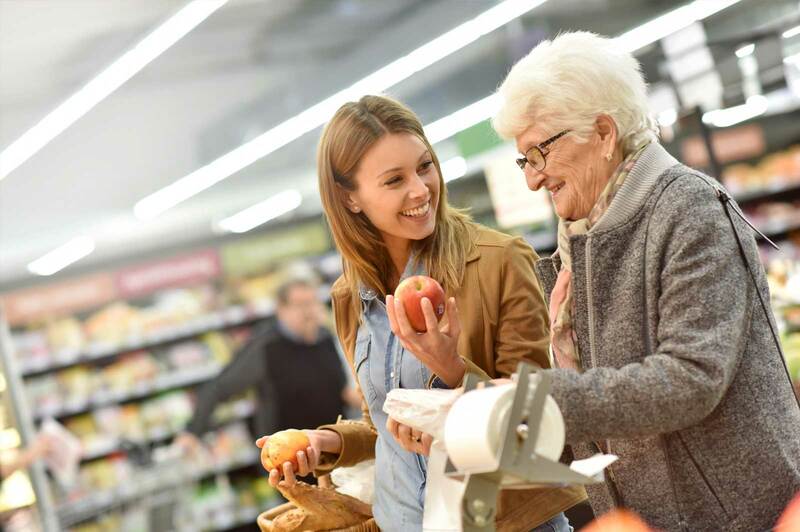 We want you to have the care that suits you, which is why we take time to sit down with you, your GP and your family to create a personalised plan for looking after you; something that reflects not only your needs but also your personality and lifestyle. We will regularly review the plan with you and update it to ensure that you are always receiving the care that you want and deserve. We will do everything possible for you to feel settled in your new home. A lot of our staff have been at The Grange for many years and know just how important it will be for you to feel comfortable and happy in your new surroundings. 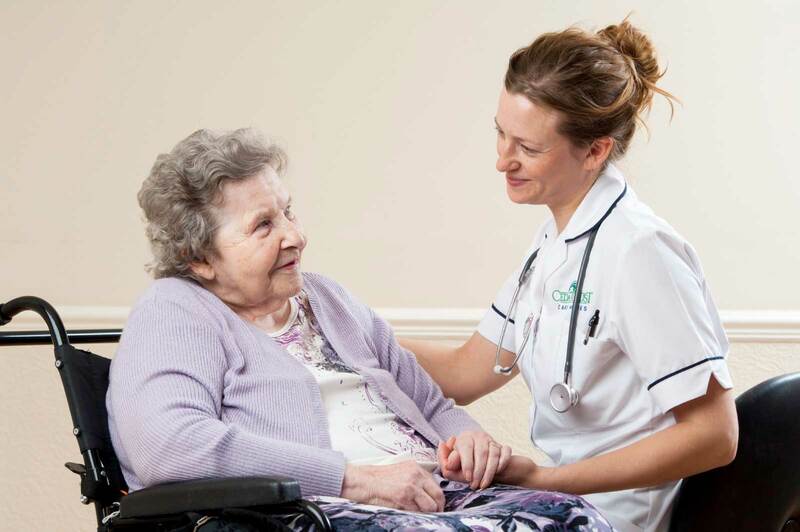 They have experience dealing with all levels of nursing and residential care, so whatever your requirements, rest assured that your wellbeing is their priority. Our staff will take pride in becoming your friends, and will always look after you with dignity and respect. At The Grange there will always be someone there for you, 24 hours every day. Our fees include all those things that will not only give you peace of mind but are an important part of enjoying life: 24-hour care, accommodation, all meals and snacks, laundry and an extensive range of activities, entertainment and trips out. We are ideally situated for relatives who live in Tewkesbury or the surrounding countryside, as well as those who might be a bit further away, as we are close to junction 9 of the M5. You can also get to the home easily using nearby bus and train services. 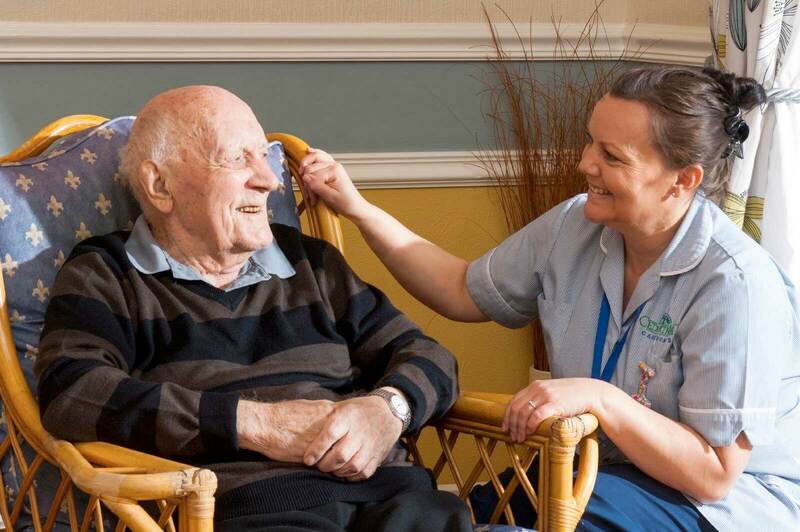 Your relatives and friends are welcome to drop in and visit you at any time and we operate an open door policy 24 hours a day, seven days a week – we never want you to feel that you are not part of a wider community, no matter what your care needs may be. My aunt suffers with dementia but the staff at The Grange are very caring and my aunts needs are cared for in a very loving and considerate way. They work hard to entertain the residents and help keep them happy, well fed and warm but safety is a high priority for them. I have no fears for my aunts safety and well being. We hope you will come and visit us and see what Magnolia House can offer you. You are welcome to call in at any time and we will be pleased to show you round and give you the information that you need to help you. 68 bedrooms, all with en suite provision.